(CNET) -- Facebook users haven't exactly been reticent about their dislike for Facebook's recent redesign. And Facebook staff want you to know they're listening. Facebook is making a handful of changes after being deluged with negative feedback about its new layout. Facebook has been deluged with feedback on its new layout, much of it negative but constructive, according to a blog posted Tuesday by Product Director Christopher Cox. Hundreds of thousands of people gave the redesign a thumbs-down in a user poll. And groups like "MEMBERS WANT THE OLD FACEBOOK BACK!" have formed to voice their discontent. While the social network isn't reverting back to the old page design, they are making a handful of changes to appease some of the outraged masses, according to Cox, who has also worked as director of human resources and software engineer at the company. Live updating: Users will have the ability to turn on auto updating so they don't have to refresh the page to see what's new. 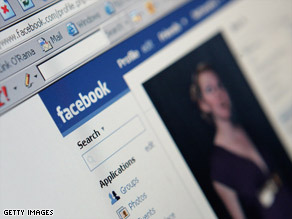 Photo tags: Facebook will add photos tagged with a person's friends to her stream. Applications: Users will have the ability to cut down on the application-related content that's showing up in streams. Highlights: This section in the right-hand column will update more frequently and show more content so it'll be more like the old News Feed. Requests: Friend requests and event invites will be moved to the top of the right-hand column so they're more prominent. Friends lists: Users will be able to create a new list of friends with which to filter their streams. From the post: "Over time, we'll continue to give you more control over what's in your main stream and how you consume it. We have the eventual goal of building filters that summarize this activity so you can see a more condensed view of what's been going on. We're also thinking about ways of filtering out some of the Wall posts and content directed to specific people to focus more on posts shared with everyone." No specific timeframe was mentioned for most of the updates, though they did say the photo tag update would happen "in the coming weeks." To be sure, it can't be easy to redesign a site with 175 million users. For one thing, different people use the site very differently, so one man's feature is another's peeve. Many of Facebook's users are online and interacting with the site for hours each day and no doubt have a personal connection to what goes on there. And as Cox points out in his post, sometimes change is just hard to take. Cox, the brave soul that he is, invited yet more feedback from users, directing people to the tour of the redesign where people can leave their comments.